Watch this short video on the work the Sherpa Foundation are doing in Nepal. I am happy to endorse and support the work of the Sherpa Foundation. Pemba Sherpa, who is from the Everest region of Nepal but living in Colorado, came and to an event we were running in August 2015 in Vail, in support of our work in Goli Village, Nepal. He showed me his passion for his homeland, village and people. Pemba Sherpa is from the Everest region, now living in Colorado. Pemba is a strong character running his own painting business in Colorado and stepping up to the mark in support of his homeland, village and people in the Everest region of Nepal. Pemba set up the Sherpa foundation years ago, knowing it would be needed in the future. Pemba Sherpa is out there raising awareness and funds in support of the the people in Nepal and bring funds directly to the region. The Sherpa Foundation has helped 96 families rebuild their homes so far and there is more to do. 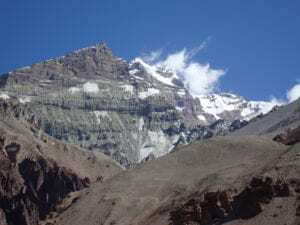 We support the Sherpa Foundation in Nepal and the work Pemba Sherpa is trying to achieve in the Everest region of Nepal. It you would like more information about the Goli village trust that we are trying to bring direct funds to. Or you would like to give directly to the Sherpa Foundation, click the link above. Call Pemba and learn more about their work and giving real support for the people of Nepal.